Walking through the city today I saw a beautiful girl riding a really gorgeous bicycle and I thought I hope she is an ad. Then I noticed the basket on the front was full of Country Road summer brochures. And there I was in a Country Road dress. I bought this dress when I first came back to Australia to work in 2000 and needed some Brisbane workwear after being in London where things are chillier and how can I say … blacker? … at work. 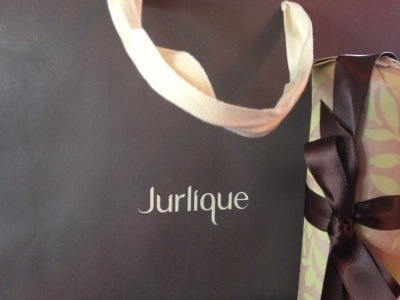 Although someone recommended a bottle shop voucher, I ended up with soothing baby bubble bath by Jurlique for a relaxed baby and mama. Posted in Brisbane Fun, casual, Country Road, fashion, the power of fashion and tagged accessories, Country Road, Jurlique, spring. Bookmark the permalink.